I got some seeds of Pachypodium lamerei var. ramosum from Le Jardin Naturel. 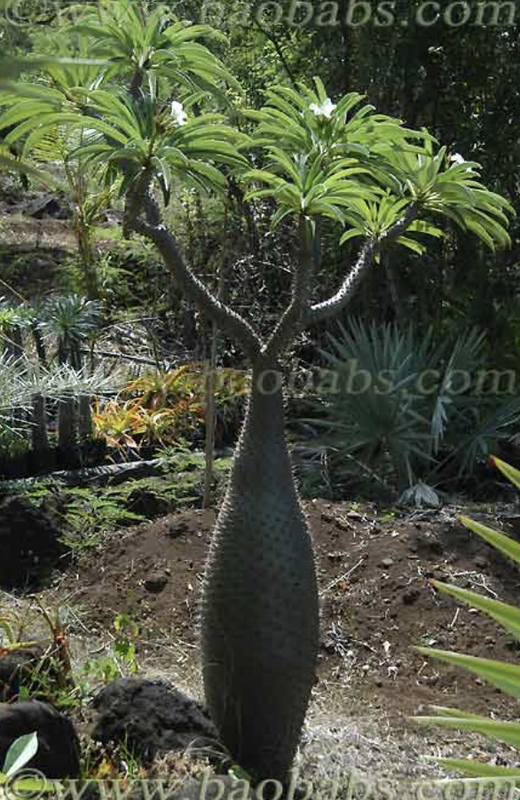 Based on Reunion Island, Le Jardin Natural stock a wide range of arid species seed. I’ve bought from them a few times and have always been very pleased. I purchased six Pachypodium lamerei var. ramosum seeds. They were soaked for 24 hours then sown. After four weeks, five have germinated and the last is almost through. This variety has a brilliant form. It’s much shorter than the species reaching only 2.5m. The trunk branches at the top displaying multiple plumes of foliage. A planting of these will look great in the conservatory arid section. 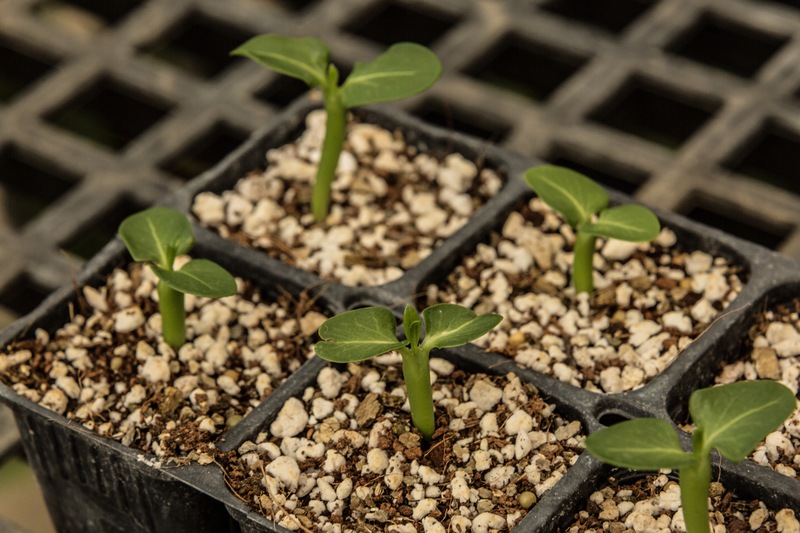 Below is a photo of my seedlings and a sample picture from the Le Jardin Naturel website.